The other day, my friend Sarah and I were talking about how our shoes no longer feel as comfortable. We agreed that when we were younger, any shoe would do, but now our feet are getting more achy with age. Or maybe we just value comfort more? I think it’s probably a mix of both. If you are like me and have experienced foot discomfort or pain, the solution is simpler than you think – shoe insoles! I was cynical that shoe insoles would make a difference, but give them a try. Once I found the right ones for me, I also noticed that other areas of my body felt better. Win-win. Do you have Low, Neutral or High Arches? Before I started researching the best shoe insoles, I wanted to know how flat (or high) my arches were. Like my blood type, arch support is something I should probably know, but I don’t. I remember seeing a foot arch test on TV once involving water and a sheet a paper. To my surprise, it is actually a proper way of measuring your foot arch. Press your foot completely onto the paper to make a footprint. When you raise your foot, you should be able to tell if you have neutral arches, flat arches (flat feet), or high arches. High Arch – tends to add stress to ankles, knees, hips and lower back. When I heard about the FORM Ultra-Thin insoles, I was very intrigued. 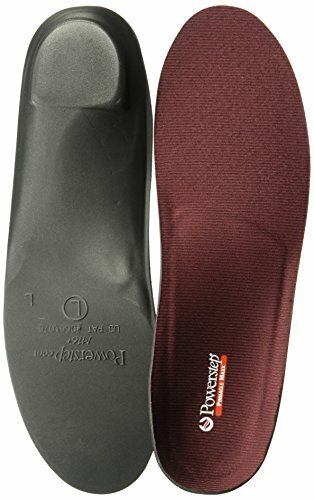 These insoles have a neat way of molding to your foot. You warm them in the oven (yes, the oven!) and wear them to create a perfect molded fit for your foot. Now, you don’t have to do the oven adjustment if you don’t want to. They are still comfortable and can be used without that extra adjustment. It’s just an option if, like most people, you have trouble finding the perfect comfortable insole. In terms of the design, there’s alot to shout about. The heel cup has tons of support and feels bouncy. Shocks are absorbed easily. The arch feels supportive and not too soft. You want support, not something that’s going to go flat after a few minutes. Thanks to the slim fit, they fit in my dressier shoes and also in my sneakers. They felt comfortable standing for several hours and also on a casual day. Although I highly rate every insole I review on this page, these edge them slightly because of the neat “Heat for Better Fit” option. Shorter 3/4 insole length will comfortably fit all shoes – avoids that “tight fit” feel when using thick insoles. 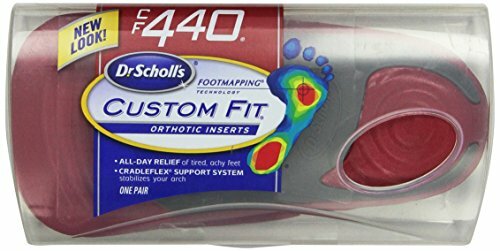 If you have one near you, I recommend going to a Dr. Scholl’s Custom Fit Kiosk at most drugstores. You stand on a platform while the machine determines the best orthotic insert for your foot. 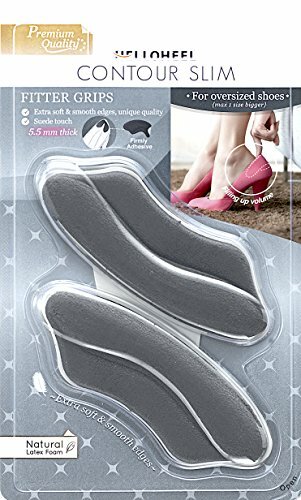 However, if you can’t find one, these are great shoe inserts for feet with low arches. They are 3/4 length and support the heel and arch. Often associated with knee pain, low arches need support that insoles such as these offer. Most shoes can fit these insoles and they work well in hiking boots, sneakers, except for ballet flats. If you have low arches (flat feet) these are an excellent choice. 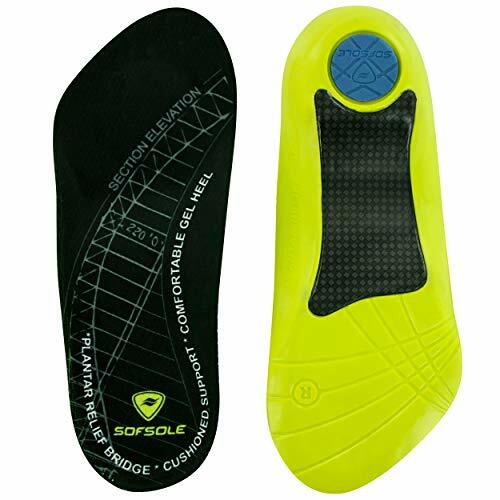 Sof Sole is one of the most innovative insole brands on the market. For feet with neutral arches, this insole gives overall cushioning and support. It is full length and supports the entire foot, from heel to toe. Before inserting the Sof Sole insole, remove the insole that is built into your shoe to avoid a snug fit. Supportive gel pads in the heel and forefoot, adds thickness to the insole. They keep feet cool and dry, which is not always the case with insoles. They perform well whether you use them for walking, casual use, running, or exercising. If you’re not sure what type of arches you have, these work well for most people. Sof Sole’s Airr insoles are a good choice for low to neutral arches. They support the foot from heel to toe, due to their full length. 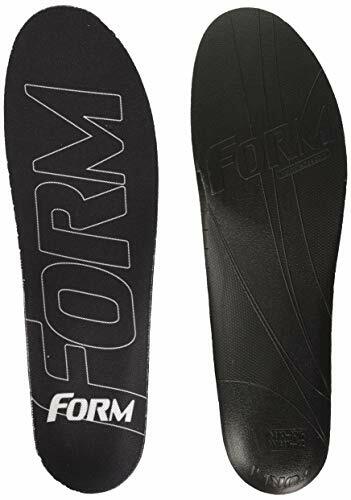 They offer more stability than the Sof Sole Athlete Insoles just mentioned, using a flexible nylon plate in the arch and heel. An encapsulated air chamber in the heel provides good shock absorption when walking or performing strenuous exercise. The forefoot (a.k.a. ball of foot) is supported by a polymer gel, which increases shock absorption. Overall, it’s a solid choice if you are on your feet for over 8 hours or exercise. But first, a word about Plantar Fasciitis. You know you have it if you get pains in your arch or as soon as you wake up. In general, it is caused by chronic irritation of the arch of the foot due to excessive strain. It feels similar to a burning sensation. It can be caused by flat arches, high arches, rolling of your feet inwards (supination), heel spurs, just to name a few reasons. Despite the issue depending on different variables, I have heard good things about the following insoles. They also happen to work for people with high arches. 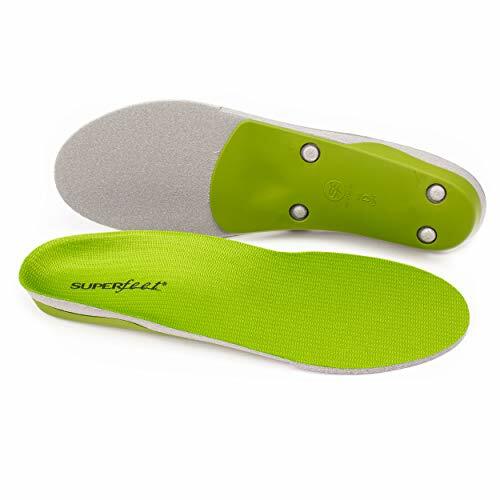 One of their most popular insoles, Superfeet’s Green insoles are full length and provide firm support for high arches. They are anti-microbial and eliminate odor-causing bacteria. They provide targeted support if you have high arches or Plantar Fasciitis. The heel cup is deep and very cushioned. These insoles perform best when standing for long hours or walking. As they have firm support, it may take a few days to get used to them, especially if you are not used to the level of support it offers. 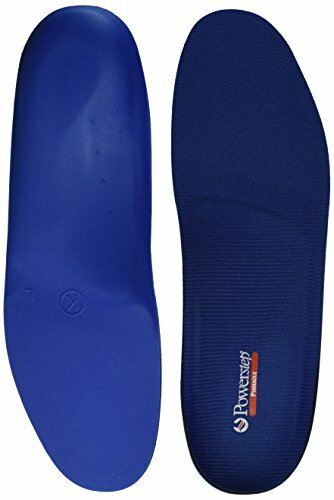 For people with Plantar Fasciitis, Powerstep Pinnacle Maxx Insoles are well loved and alleviate the pain associated with the arch of the foot. They offer firm support in the arch of the foot, which is helpful when you have high arches. 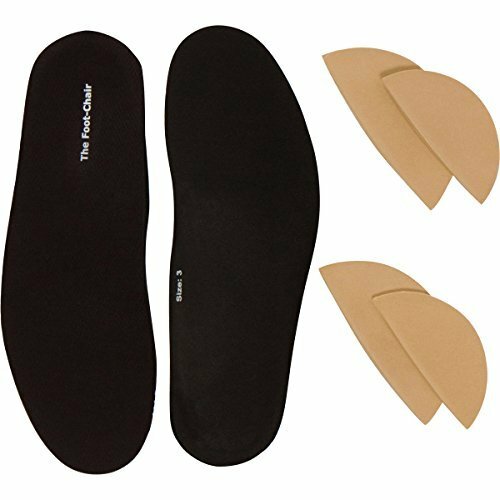 These full-length insoles support the foot from heel to toe. They keep feet cool and are anti-microbial. As these are thinner in profile, they can be moved between your other shoes, making this a great value. 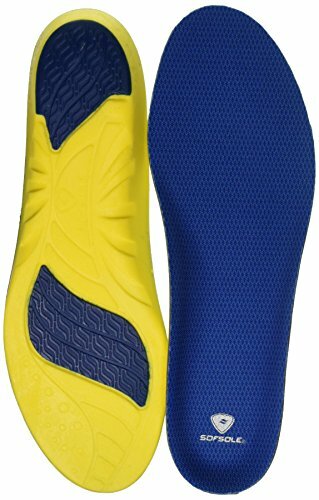 The insoles provide targeted foam cushioning to the length of the foot. That extra bit of comfort makes all the difference, in comparison to other insole competitors. One thing I want to mention is that these take some breaking in. 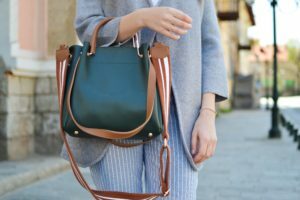 Most people find the firm support too much on the first few wears. So my tip is to wear them for a short while in the beginning, before gradually wearing them for longer periods. After that, enjoy the comfort and support. 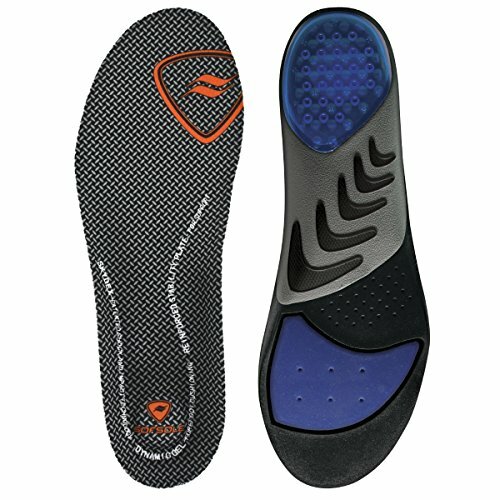 These insoles are very similar to the Powerstep Pinnacle Maxx Insoles listed above. They are full length, have firm support, a slim profile, help those with Plantar Fasciitis, and stay cool. The main difference is that the arch is less rigid, so would be suitable for high arches that aren’t as severe. The heel also has more cushioning, which you might require if doing strenuous activities that impact the heel. Sof Sole Plantar Fascia insoles are wonderfully supportive for high arches or those with Plantar Fasciitis. They are 3/4 length and will fit most shoes. A nylon plate supports the arch of the foot, giving relief from high or painful arches. The heel is cushioned by a gel cushion, alleviating pain from standing or exercise. They are a great value considering how well they work. The FootChair adjustable insoles are Podiatrist designed and approved. They have been specially designed to suit everyone’s needs. How is that possible? Well, each insole’s arch can be fine-tuned with removable pads that are included with the insoles. You get four little arch inserts, two for each foot. They are in a league of their own and the custom fit shows how much thought was put into making them. In the past, custom insoles were only available by a visit to a podiatrist. Now you can customize the insole in the comfort of your home. The insoles themselves are made of a semi-rigid, flexible polypropylene material. Although a soft cushion can feel comfortable initially, most foot conditions need more stability, as is the case with these supportive insoles. The antimicrobial fabric eliminates unwanted odors. Overall, it’s a dependable choice for a wide range of foot needs at an affordable price. 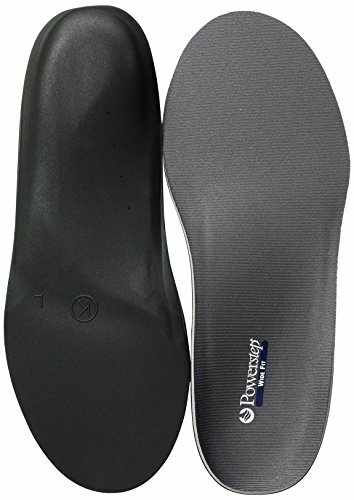 Powerstep’s Wide Foot insoles are great for wider feet or for those with more weight to support. They offer full-length support and excellent cushioning. The arches are reinforced with two layers of foam and provide semi-rigid support. The heel is deep and well-cushioned to protect the heal from fatigue and pain. The top fabric is anti-microbial and keeps feet cool and eliminates unwanted odors. They may take some breaking in, especially if you are not used to supporting your foot arch. I recommend them for walking. Useful if you want light support in tricky shoes like ballet flats, heels, and narrow sneakers. On my first trip to Europe years ago, these were an affordable and versatile option for my neutral arches. These gel insoles are full length, yet fit easily into most shoes due to their thin profile. If you’re looking for a little cushioning, but nothing extreme, these are suitable for casual use. They can easily be swapped and used with different pairs of shoes. After using hundreds of band-aids over the years to protect my ankles from blisters, I finally found a permanent solution. I don’t know why no one had told me about heel grips. Literally, every woman I know uses band-aids to stop blisters. Helloheel grips are made of soft suede and fit in the back of the shoe, where it hugs the ankle. They cushion and keep feet from sliding around. They work especially well in flats and heels, which have no ankle cushioning. If shoes are slightly loose, they also help to close that gap with their added cushioning. For something so indispensable, they are cheap and easy to apply. Finding a shoe that fits perfectly can be a long and expensive search. Fortunately, adding a specially-designed insole to your existing shoe is a quick and easy fix. 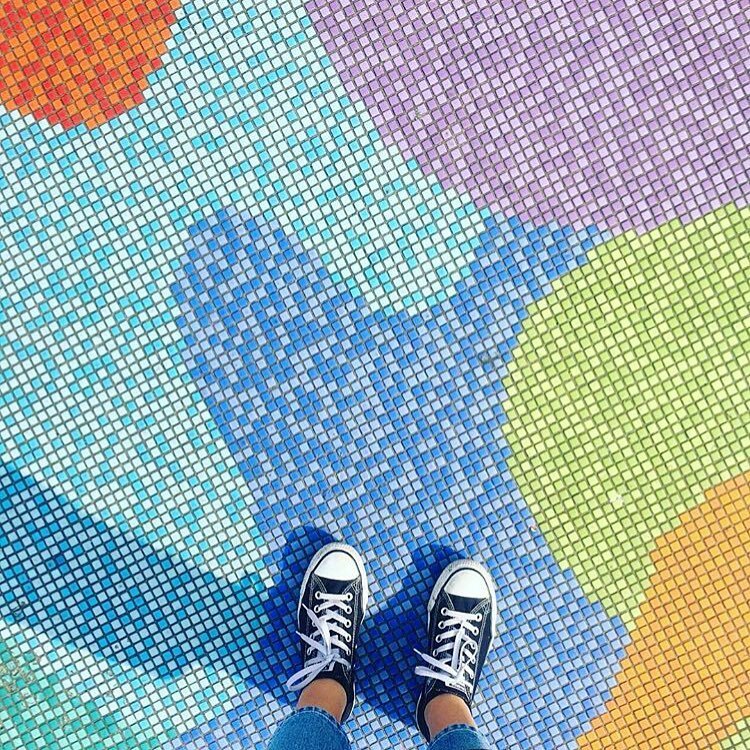 There’s an insole for almost every type of situation, so there’s really no reason not to give them a try. You may find that your most uncomfortable shoes only needed the right insole to make them comfortable again. Have you had any luck using insoles? Let me know your thoughts in the comments.